Gov. Phil Scott, a Republican, is essentially picking up state government and taking it on the road for a series of individual visits from his entire cabinet to hear from people in all corners of the state. Vermont's governor is moving the state capital... sort of. Monday was day one of the Scott administration’s "Capitol for a Day" initiative, focusing on Rutland County. A walking tour of downtown Rutland with economic development leaders, a conversation about promoting Vermont travel destinations outside of ski season, and a look at how energy innovations may impact affordability were some of the more than a dozen meetings in the Rutland region Monday involving the top-level members of state government and local leaders, business people, and other residents. Stinky Trash Heap Removed, Concerns Over Rats Linger in Vt.
"We should be getting outside of Montpelier," Gov. Scott said in an interview with necn. Scott explained he wants his agency secretaries and department commissioners more plugged in to the needs of the whole state, not just to the center of government in Montpelier and the largest population area around Burlington. So he'll be taking his cabinet on a series of working field trips. 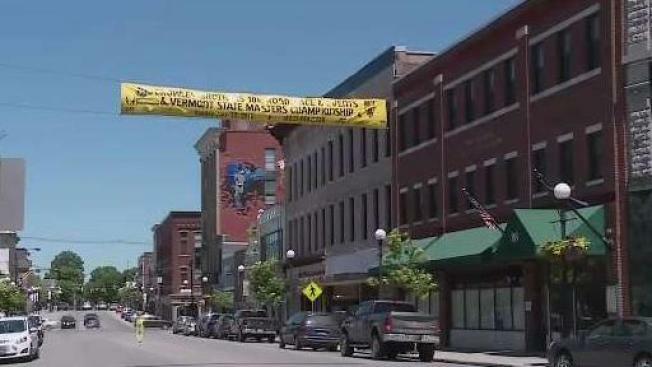 "It’s not only a great way to connect with the people of Vermont, but also to some of the challenges we face," Scott said. Mayor Dave Allaire of Rutland said he appreciates the move, because while his region has a lot to be proud of, including world-class outdoor recreation, there are worries—like a population decline, and infrastructure concerns. "I think it’s important just to have that communication," Allaire said of the visit Monday from Scott and members of his team. "Just seeing the condition of our streets and our bridges, for transportation folks, I think that all means a lot." Gov. Scott and his cabinet plan to visit each of Vermont's counties over the course of the summer and fall, according to his office.